1st grade • 2nd grade • Alphabet • Alphabet Order • Language Arts • Language Arts Misc. Make practicing alphabetical order fun with this hands on, free Popcorn Alphabetical Order Activity for Kindergarten, first grade, and 2nd grade students! 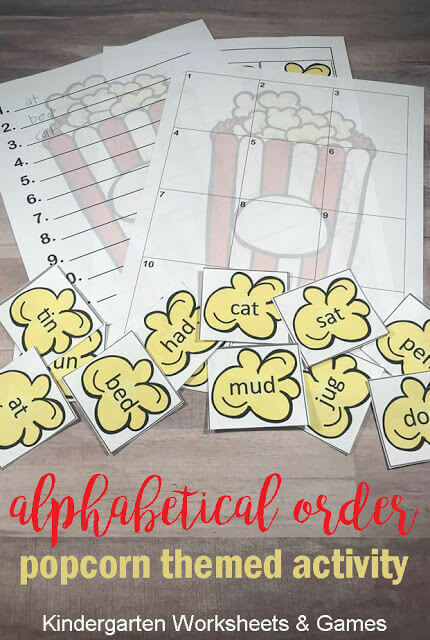 You can grab this FREE Alphabetical Order Popcorn Activity at our sister site today!